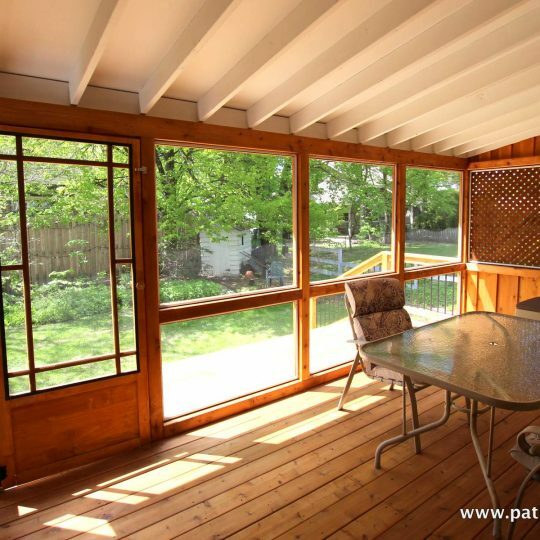 A deck is more than just a deck, it’s an outdoor extension of your home. It must measure up to your needs and be well-suited to your yard. – spaces out in the sun as well as others in the shade. All these must provide a sense of privacy and safety, keeping in mind your yard’s unique features. Families with swimming pools, for example, would need to give particular attention to safety features for children. 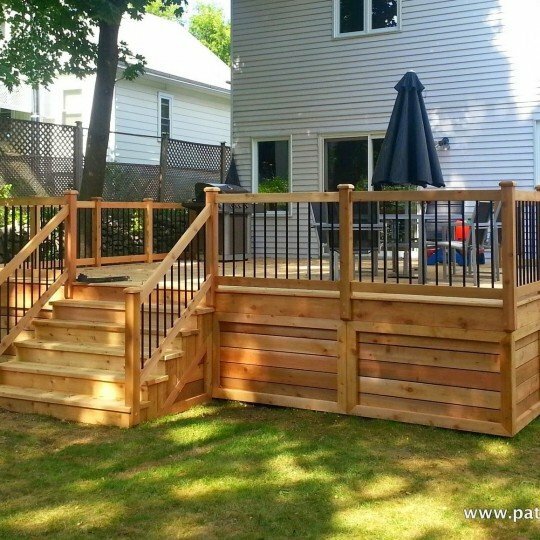 To protect your family from the harmful effects of the sun, your patio should include options for sun protection like a wooden pergola. 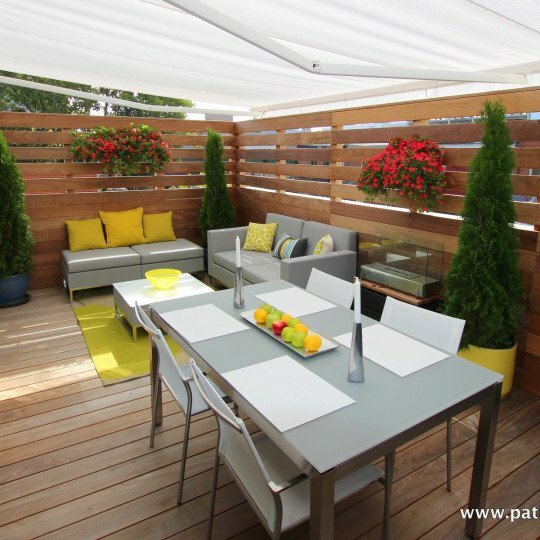 You’ll enjoy much more of your patio during sunny days. 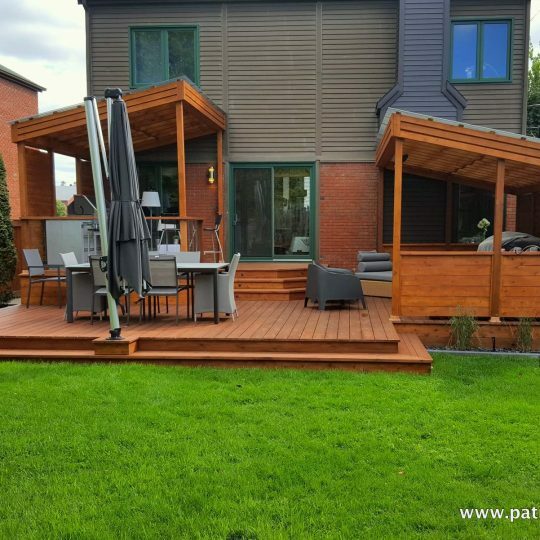 Whether to house a hot tub, to serve as an outdoor dining room protected from insects and the rain, or to beautify your landscape, a wooden gazebo is the perfect place to relax away from the weather and the mosquitoes. 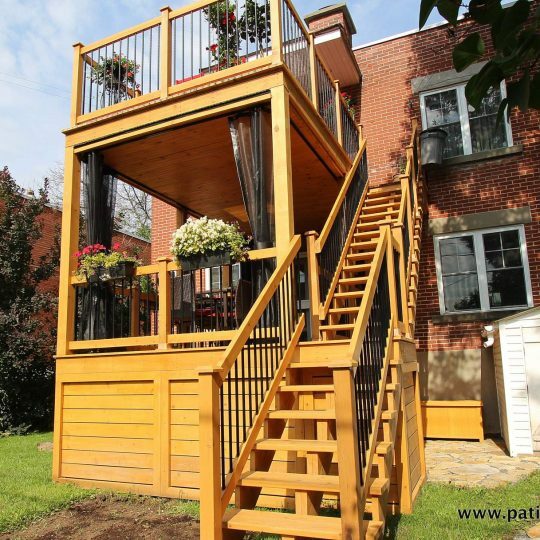 Nothing beats the warmth of wood as building material for a balcony. 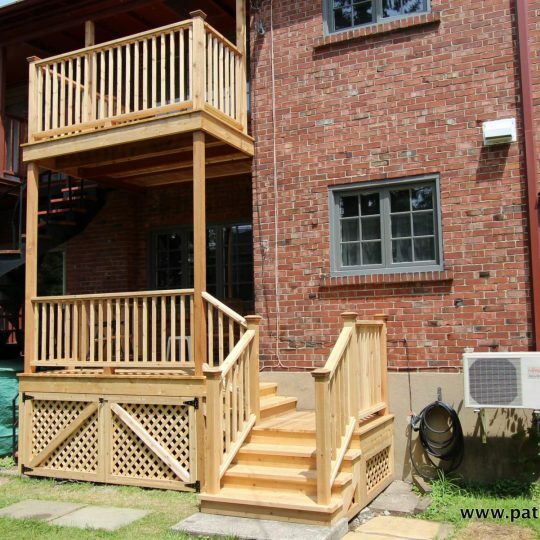 Whether it is near the ground or on the second floor, balconies must be safe and should blend in with the style and the architecture of the building. A rooftop terrace is one of the best investments that you can make. You add livable space to your residence and at the same time you increase its resale value, especially if it is situated in the heart of the city.